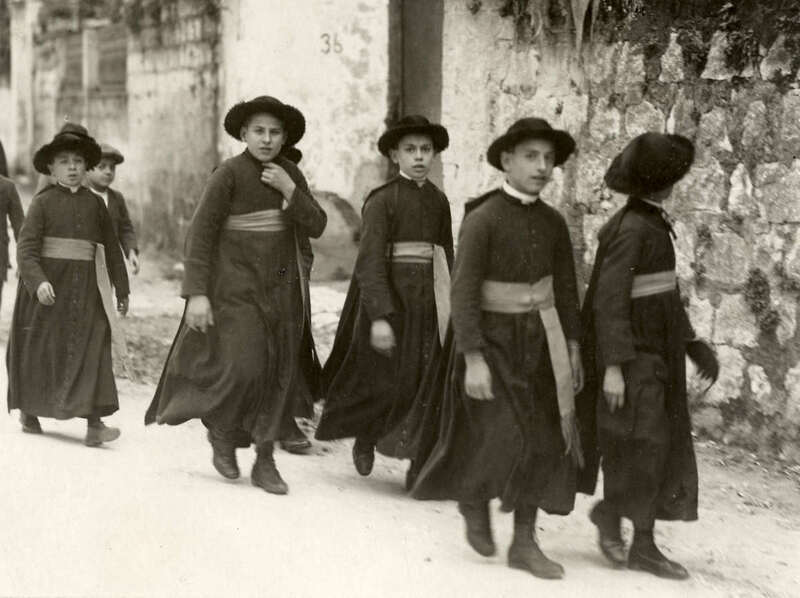 Minor seminarians in Italy, mid 1920s. A friend of mine who was studying for the priesthood in Italy about 15 years ago told me the following story. One of the men in his seminary had previously been in the minor seminary of a southern Italian diocese, where they had the new Mass, but mostly in Latin, much of it in chant when they sang, celebrated ad orientem, sung Vespers, plus a healthy round of traditional devotions, (daily Rosary for the whole community, frequent Eucharistic Adoration, etc.) The seminarians wore the cassock, just like the young fellows we see here in the photo, plus the surplice and biretta when in chapel. There were fifty of them. Not long after he had come to Rome for his philosophy and theology, a new rector decided it was time for “renewal.” Mass was now celebrated entirely in Italian, the music reduced to the standard four-hymn sandwich. A new altar was installed, facing the pews. Vespers, Rosary, Adoration etc. were all cancelled or reduced to the bare minimum, and of course, the wearing of the cassock, surplice and biretta were all forbidden. Within a few years, the seminarians were down to six.